&quot;An intelligent, well-informed and important piece of work... Well-articulated and clearly and fluently written... a particularly worthy addition to the growing literature on William and on twelfth-century historiography.&quot; Rod Thomson, Professor of Medieval History and Senior Research Fellow, School of History &amp; Classics, University of Tasmania.<br /><br /> William of Malmesbury, arguably the greatest English historian of the twelfth century, repeatedly emphasises that the primary purpose of all literary and intellectual activities is to provide moral instruction for the reader, the most famous of his statements to this effect being found in his monumental work <i>Gesta Regum Anglorum</i>, where he categorises history as a sub-discipline of ethics. However, modern studies have chosen to focus on other aspects of William's oeuvre and tended to dismiss such claims as perfunctory nods to a pious commonplace. 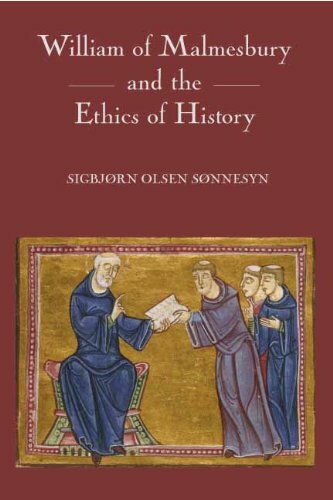 <br /> This book differs from recent orthodoxy by being based on the proposition that medieval professions of the moral aims of historiography are in fact genuine. It seeks to read William's celebrated historical works in the light of his devotional and didactic texts, and in the context of the religous, intellectual and literary traditions to which he expressed his allegiance. He also demonstrates how William's conception of ethics forms a constitutive element of his historical output. The resulting image of William shows a committed monk and man of his time, placing his extraordinary learning at the service of his culture, his society and his faith.<br /><br /> Sigbjorn Olsen Sonnesyn is post-doctoral Fellow at the University of Bergen, Norway, and the University of Copenhagen, Denmark.